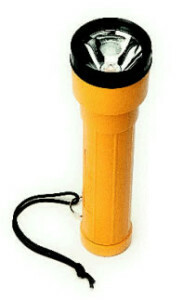 The Elcometer 132 Safety Torch / Flash Light is explosion proof and meets the ATEX directive as category 2 equipment. It is approved to the latest EN Standards for electrical apparatus for potential explosive atmospheres. This allows for use in Group II applications zones 1 and 2, IIA and IIB gases, where T4 temperature class permits.